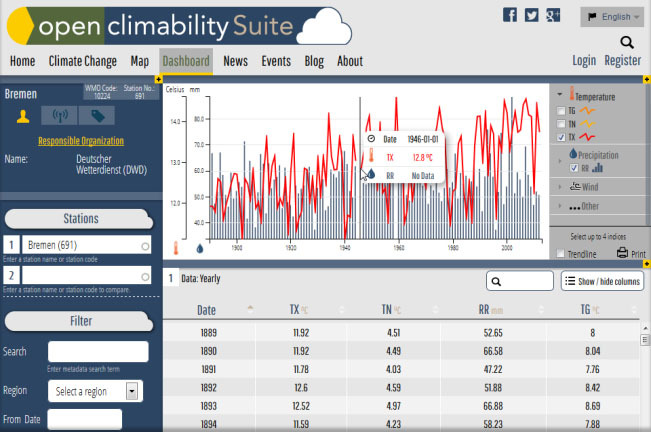 A complex dashboard is the main application of the Climability Platform. After selecting or filtering a climate station the appropriate climate data is loaded and shown in a graph and table. The available indices can be switched on or off here. The station metadata, which may also contain climate data interpretations, Walter-Lieth diagrams etc. are displayed in an information panel. 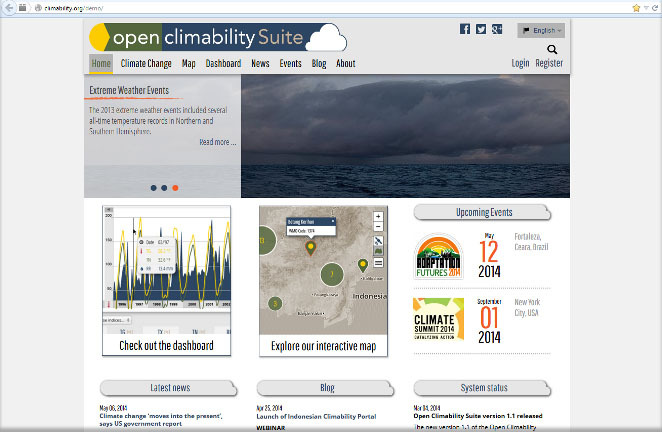 Integrate climate (change) information, adapt the design of the portal. 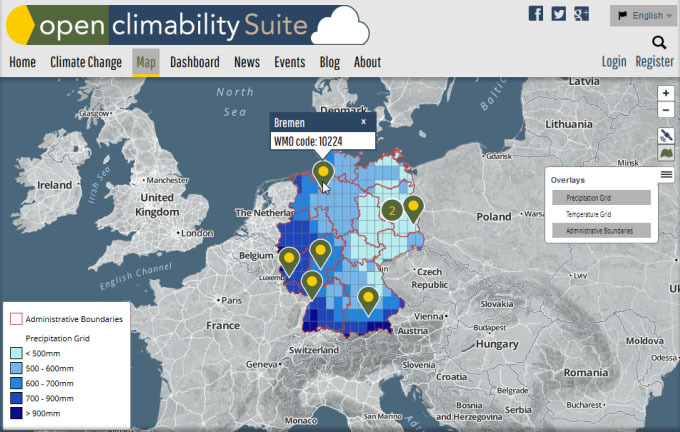 Add additional menus and integrate sectoral climate information. Integrate RSS feeds, news and events that are important or relevant to your institution. Fine-grained management of data and function access. Easily add new users or edit user rights via complex Drupal user management. Import climate stations and climate data into the NoSQL database MongoDB. Manage data entry and user access to data. Use complex filter, search and select functions for climate stations and metadata, for climate values, time series or page contents. Show climate indices information in graphs and compare to other climate stations. Use flexible time series to analyse the data. Show table information for the indices of a climate station or compare with another station. Sort, filter, search and export table information as CSV file. Enter, display and search climate station metadata. Get Walter-Lieth diagrams, station photos, and interpretations for the data. INSPIRE, OGC and WMO standards compliant. Display climate station maps or gridded climate maps. Animate, filter, change base layers or add overlays (WMS, WCS) to adapt the map design and visualisation.